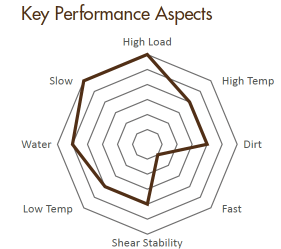 Slow speeds and heavy loads are conditions most commonly experienced in industries such as mining, construction and metal manufacturing such as steel. Consequently, vibrational activity and shock load potential is also high which means that in-service, boundary lubrication conditions tend to dominate and thus present the greatest challenge to operational productivity. Increased wear and friction can act fast to shorten component life whilst reducing lubricant effectiveness through thermal and oxidative degradation. An appropriate lubricant can aid these challenges through mechanisms that enable greater surface separation as well as protection from high and shock load conditions. Gears, jacking, kilns, mills, winches, wire ropes, etc. Are Your Customers Dealing with Challenging Slow & Heavy Conditions? 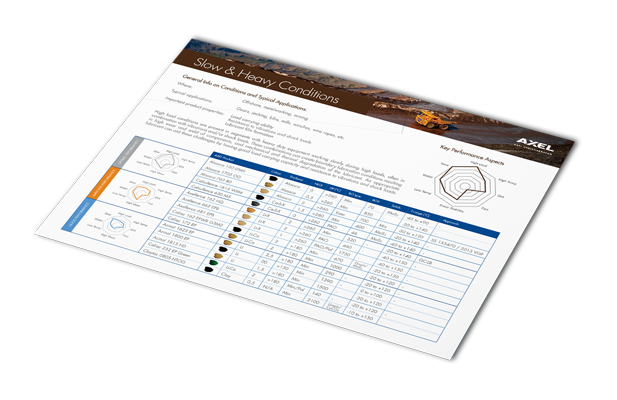 Download our Slow & Heavy Conditions Mat and learn more about a whole range of technologies and products (good, improved and optimal performance) you can start offering your customers today.